Of the many things the US Navy’s FA-18 was built to do, dodging speeding SUVs is not one. Pursued by the California Highway Patrol, the car ended up ramming a jet at Naval Air Station Lemoore, killing both SUV occupants. The chase began late Wednesday, when a California Highway Patrol (CHP) officer stopped to check on a Jeep Grand Cherokee parked on the side of the State Route 198. The SUV drove off at high speed, driving erratically and even going the wrong way at one point, CHP said. Crashing through the gate of the NAS Lemoore, about 30 miles south of Fresno, the SUV proceeded to drive some 7 miles into the base before slamming into a parked FA-18E Super Hornet fighter jet. The female passenger died on the spot, while the male driver expired at the hospital later, authorities said. Neither has been officially identified. Neither was a member of the military, Captain Monty Ashliman, commander at NAS Lemoore, said at a press conference Thursday. It did not appear that the base had been deliberately targeted, he added. "Regardless of procedures we have in place, something went wrong and we had a tragic accident," said Ashliman, as quoted by AP. "We have got to figure out a way to prevent that from happening in the future." “We don’t know why they were running,” CHP Lieutenant Dave Knoff said at the press conference. As for the Super Hornet that was struck, base officials have not released a detailed damage report, saying only that the SUV hit the plane’s horizontal stabilizer. 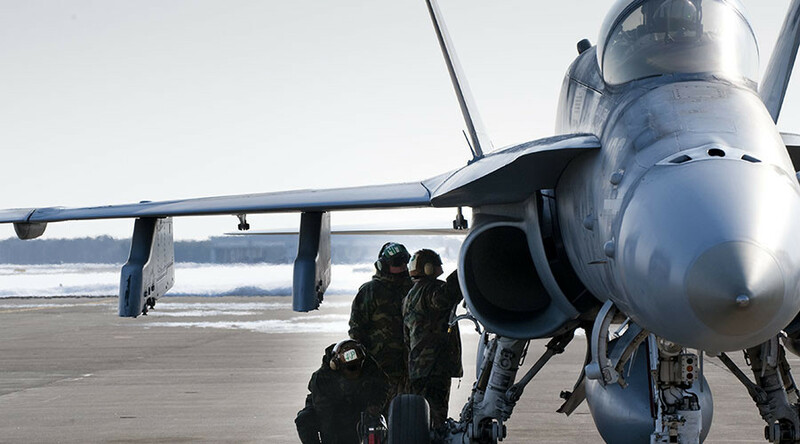 The FA-18 will be fully inspected before it can fly again. Built in the 1960s, Lemoore is the largest naval aviation installation in the US. It currently hosts 16 squadrons of four Carrier Air Wings, operating mostly F-18s, and is expecting to receive the first F-35s sometime next year.